CB495A HP Laserjet CP2025DN Printer - Refurbished with 3 months Return To Base Warranty & Working Consumables. 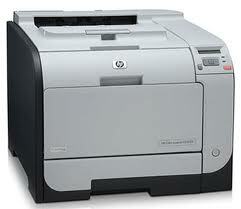 The HP Laserjet CP2025DN Printer is as good as buying new as all worn parts are replaced. This saves you up to 50% off the price of a brand new printer. We are confident that you will be 100% satisfied with your HP Laserjet CP2025DN Printer and are here to help with any support questions you may have. The Manufacturers part number/product code for this item is: CB495A. Do more colour business printing and in-house marketing with the powerful HP Color LaserJet CP2020 Printer series. Easy to use, with fast speeds up to 20 ppm A4 black and colour, and exceptional colour print quality with HP ColorSphere toner. Make an impact with professional quality colour documents that promote your business. • Promote your business with next-generation HP ColorSphere toner and HP ImageREt 3600. Make an impact with vibrant colour, crisp, text, and realistic photo-quality images. 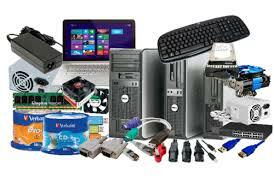 Its innovative design lets you to do more conveniently from the desktop. Achieve your goals with this fast, powerful printer which is both easy to use and maintain. • Boost productivity with fast speeds up to 20 ppm, black and colour and Instant-on technology. Enjoy ease of use with job-based print settings and an intuitive, back lit control panel. Easily install and replace the All-in one print cartridge. Get custom business printing in-house, when you need it, with this reliable colour LaserJet printer. • Enjoy greater efficiency with on-demand custom printing. Share easily with reliable, built-in networking. Control costs with the HP Print Cost Estimator. Save time and paper with two-sided printing1. Save energy without sacrificing performance. Media sizes supported (imperial) Tray 1: letter, legal, executive, 8.5 x 13 in, 3 x 5 in, 4 x 6 in, 5 x 8 in, envelopes (No 10, Monarch); tray 2, optional tray 3: letter, legal, executive, 8.5 x 13 in, 4 x 6 in, 5 x 8 in, envelopes (No 10, Monarch); automatic duplexing: letter, legal, 8. Bundled software Print driver (HP PCL 6), Toolbox configuration utility, SNP alerts, DTSS, media educator video, and installation software on CD-ROM.